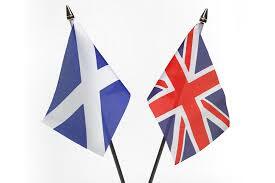 Its been an exciting time in British politics with the Scottish referendum this week. Whilst the no vote has meant we remain a United Kingdom, the constitutional consequences will change the politics and culture of our government. Whilst for some this will be of little interest, I am loving it all. I have no idea what the correct term is but I will happily call myself a bit of a political geek. I studied politics at University and have avidly followed it since without actively participating within a political party. Despite hating the politician at the time, I was floored (as was Kinnock) by Margaret Thatcher when as part of a 6th form London trip I got to watch PMQ from the balcony of the Houses of Commons, this remains one of the highlights of my life. I can still remember the poise and elegance of Margaret Thatcher, how she didn’t look like she was listening and then responded with razor quick wit and detailed answers, she was an incredible performer and whilst I could never agree with her politics, I will never forget her faultless performance. Another highlight was election night in 1997, the election of New Labour, I will always cherish the night spent with my political ally at home my Dad, the disbelief at the scale of the landslide, the hope and belief that flooded the country, my first experience of ‘winning’ an election. I still get emotional about that amazing night. By a happy coincidence, I was at a conference near Buckingham Palace on the day Gordon Brown succeeded Tony Blair and so nipped out at lunchtime to see Tony Blair drive into the palace to resign and for Gordon Brown to arrive to be appointed Prime Minister, another brilliant experience. its been interesting in this referendum for Gordon Brown to emerge as one of the heroes, to me he has always been a very skilled and passionate politician, but his discomfort at sound bites and media awkwardness appeared to make him a figure of ridicule in the press, he deserved a lot more recognition and respect. Since leaving University I have missed the opportunities for political discussion and debate, I find it difficult to discuss politics with my husband whose views are very different to mine and conversations with friends and colleagues centre on other interests. Consequently I listen to political analysis and comment on Radio 4, read the quality press and am appreciating the new medium of social media. For me events like the Independence referendum are wonderful, a rare opportunity to immerse myself in politics, stay up all night to listen to results and then pore over analysis, can politics really be a guilty pleasure? One of the highlights of the Indy ref has been the introduction of the vote for 16 and 17 year olds, I was informed and opinionated at that age and to see such levels of engagement and participation among the Scottish youth has been inspiring. I hope to develop a strong set of values in our children which I hope will make them want to be active, thoughtful citizens.